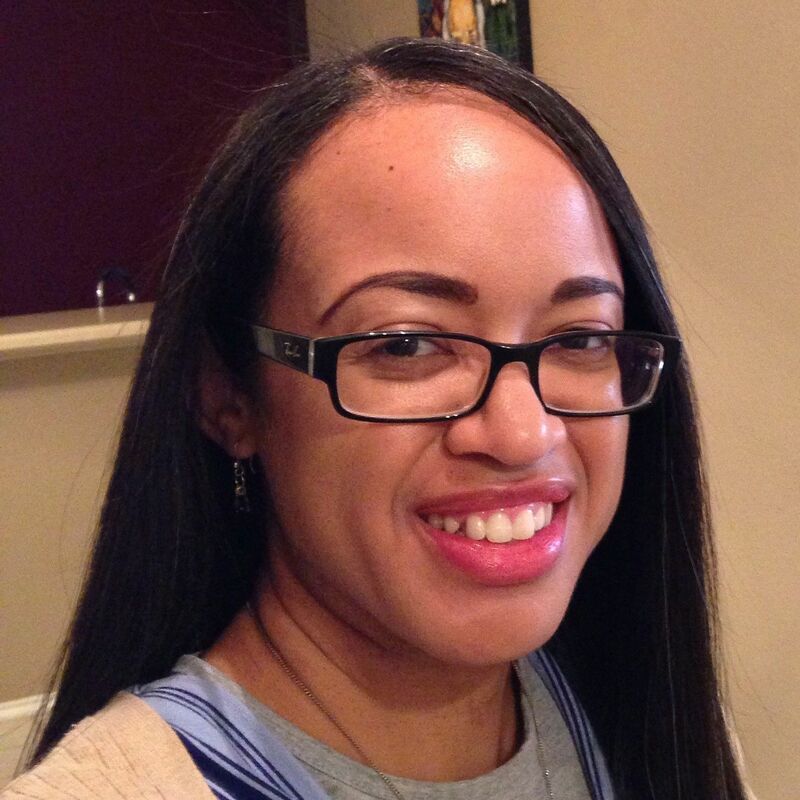 I made a decision quite some time ago to keep choosing my outfits carefully, taking homily notes, and posting here, regardless of whether I could contribute to a link-up. And then Mr. Man came along, and I know he likes them, so that settles the matter nicely. 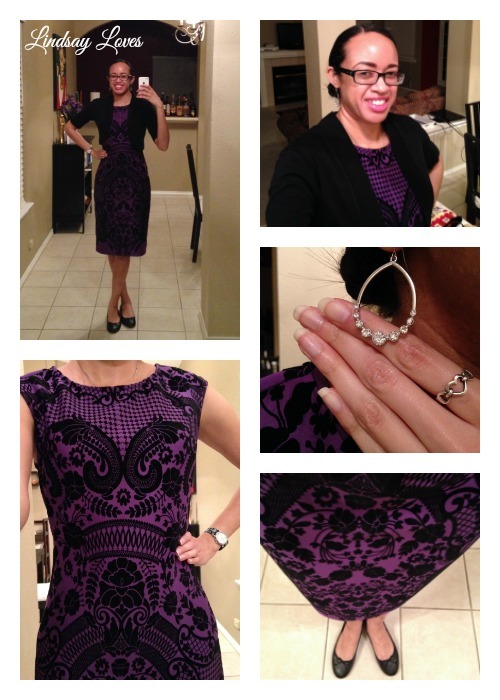 Here’s what I wore to church yesterday. I thought it might be time to admit defeat and pull out my summer clothes. Then it got rainy (and therefore cooler) yesterday, to the point that I went back into the house for a sweater on my way to work this morning. You’d think I’d be less frustrated by our ridiculous weather swings after six years, but you would be wrong. This outfit felt spring-ish. I try to go a little fancier when I wear this skirt because it has tuxedo stripes (not visible), but I often just treat it like an ordinary black pencil skirt. I think I hit somewhere in between. It was another double-duty outfit weekend, this time for a meeting in the early afternoon, home to work on migrating to the new YNAB, and then back out for Mass. I took the photos after my first return home, so that is not technically how I looked when I actually made it to church, but that’s close enough. I had excellent experience at Mass, to the extent that I prayed a Glory Be afterwards in thanksgiving for that, specifically. Fr. Associate Pastor began his homily by speaking about the parish’s ongoing efforts toward renewal. This is partly due to our still-relatively-new pastor and the influence of books like Rebuilt (which I read, enjoyed, and reviewed for ATX Catholic). Fr. AP said that elders are often resistant to renewal, especially since it is generally brought on by youth. They see novelty as rebellion. My parish has a big population of retirees and older adults, so that probably landed on a lot of relevant ears. Elder resistance today is rather like the insistence on circumcision for Gentiles in the first reading. However, by embracing what seemed wildly new and unfamiliar, the fledgling Church became more accessible to droves of new believers. All the nations (did you catch that in the psalm?) were drawn toward the truth of Christ. In my pre-reading, I focused mostly on the impact of the Holy Spirit in all the readings. I have a great relationship with him, but I haven’t been nurturing it lately. Pentecost is coming, so praying the Original Novena should help with that. I also took it as a reminder to pray for wisdom. I’m entering a big decision-making phase, so I’ll need to exercise careful discernment in ways I haven’t in a long time. Fast-forward a minute to next moment with bells, and “I heard it again!” At least we know someone was paying attention. 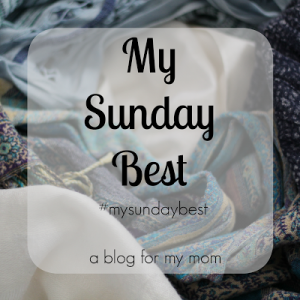 Also swing by A Blog for My Mom for My Sunday Best. Once again, my outfit did double-duty. I should probably start acquiring items that are more likely to last a whole day. 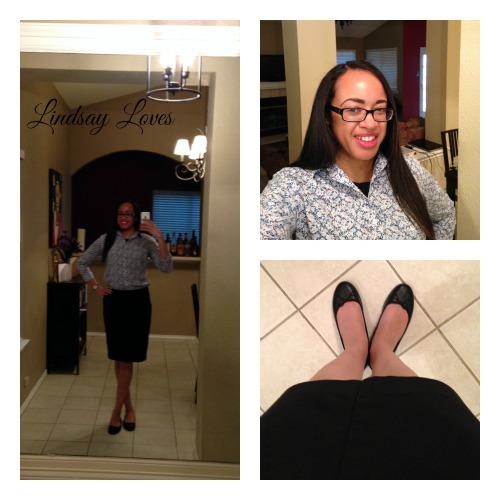 I had a different blouse at first, but then I switched to this one. In retrospect, that was a mistake. It was warm enough out for summer clothes; I should probably switch out my winter clothes for the year. As I was about to dash out the door for Mass, I glanced in the mirror and decided my outfit felt a little blah. 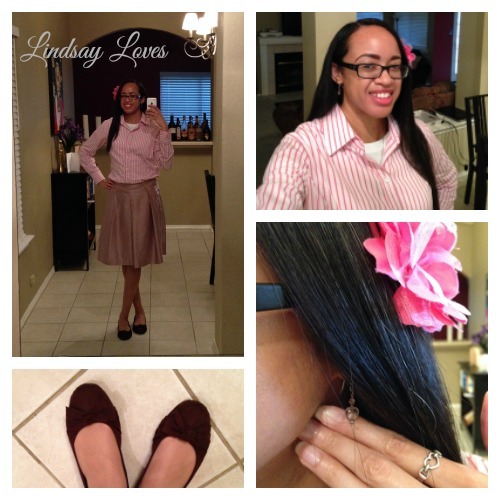 I grabbed the flower clip as a little lagniappe, and it wound up being my favorite part of the outfit. I went to Mass at a different parish than usual and at a much earlier time because I had a baby shower in the afternoon. I had to leave last week’s baptism party early(-ish) to make it to the Mass I usually attend, and I didn’t want to repeat that this week. At this point, I’ve been to enough showers to know that you can never really guess when they’ll be over. If I can alleviate social stress with something as small as early(-ish) Mass attendance, I’ll take it. Fr. Pastor of That Parish started his homily by sharing that we are inclined to tell stories about great men. Primarily, that’s Jesus Christ. We also tell stories about the great men (and women) who followed that great man, though, such as St. John Paul II. Both men showed the power of bringing glory out of great suffering, and both men proclaimed the truth of the Gospel with love despite enduring suffering. It was pretty motivational, I must say, and balanced out the one million pre-Mass announcements. There were so many that I actually lost focus and stopped paying attention! After Mass, I caught up with a local friend I hadn’t seen yet this calendar year! So many of my old group of friends married each other, moved away, and had babies that those of us remaining don’t have the same frequency of connection. He had just popped into my head the day before, which was uncanny. That Holy Spirit is such a kidder. I usually look at what I wore previous weeks before choosing an outfit for Sunday. I clearly did not do that this week, because I had the same basic color scheme going on. It’s good that I love it. I wanted to take advantage of the slightly cooler weather and guard against the on-and-off thunderstorms a little bit. I hate going bare-legged when it’s raining. Wiping off your legs after you get to church is the worst. 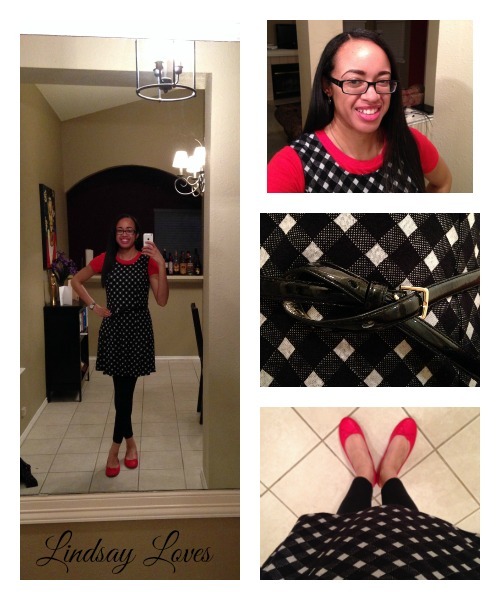 I also really like black, white, and red as a color combo (as evidenced by last week’s outfit). I wore this to my friend Victor’s son’s baptism and party in the early afternoon. Victor commented that black, white, and red is a color scheme evocative of racecars, so it attracts men. I’m pretty sure my man likes everything I wear. He understands that I want compliments or complete failure to notice. Criticisms will be referred to the Department of Not Having It. We had Fr. Pastor, which meant we got a long, long homily. I was tired after dancing all night and getting up early for the baptism, so I definitely spaced out at least once. He started with a long, long explanation of the significance of sheep and shepherds, including other places in scripture where pastorship is equated with shepherding (Jesus tells Peter to feed his sheep and tend his lambs; Peter himself exhorts pastors to watch over their flocks) and where God describes his people as sheep (the parable of the lost sheep). I got a little tired of sheep the way I got tired of fishermen last week. There was one standout moment, though. He said, “You can reject being called a sheep, but you can’t reject the shepherd.” I thought that was pretty profound. It speaks to our participation in the work of salvation. We can choose not to follow the Lord, not to be numbered among his sheep. We can bristle at being equated with what is, unfortunately, not a smart animal. (“I know my dolphins, and my chimpanzees know me.” Not so much.) We cannot, however, do anything that makes God less our shepherd. We can refuse to be herded, but he’s still going to be shepherding. He’ll be ready to count us among his sheep when we’re ready to join the flock again. It’s been a tough week. I made it to church on time (although much later than usual) and reasonably well-dressed, and I mostly paid attention, so I guess that’s a win. 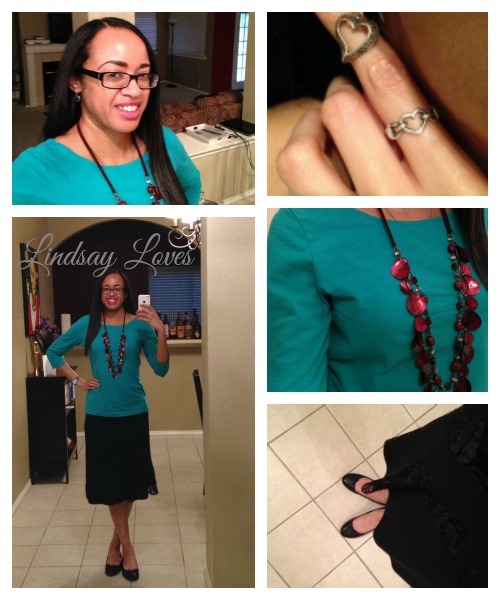 I wear this top and necklace to work all the time, but I almost never wear it to church. I think it’s because I tend to not wear dresses to work and because this combo spices up my boring work pants. Putting Me Together taught me the value of the “basic top + statement necklace” pairing. I also like the color combo: “coastal green” and pink. 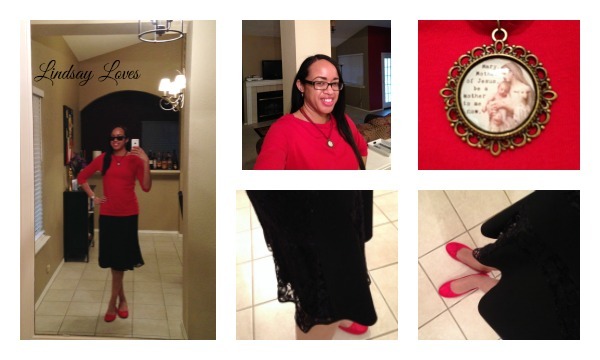 The skirt is the same one with the lace panels I wore on Palm Sunday. These earrings are my go-to “goes with everything” pair. I must have been in middle school when I got them, and with occasional polishing, they’ve lasted this long. I was extremely distracted this weekend. Again. Knowing that I would need to write this post was the only thing that kept me paying attention at all, so thank you, dear readers, for helping me behave. Deacon G preached the homily. It was very heavily a recap of the Gospel. Combine that with 3 other songs about fishing (out of 5 songs total) and you will understand why I was sick of the whole fishing miracle/metaphor by the time I left church. Second, Deacon G suggested using the time after we receive the Eucharist to ask Jesus to help us grow in love for him, just as he asked Peter to do. That was nice to hear. I always spend that time in prayer anyway. Maybe the grace of the sacrament helps me tune out the music. I sit near the choir, so it’s right in my ear, but I can pray fairly peacefully around it. When I pray after Mass, the whole congregation has inevitably burst into conversation, so I have that to contend with in addition to the choir, which either resumes its song or does a new one. I would like quiet then, too, but I will take the interior quiet when I can get it. I can love through the noise. I have a lot on my mind and my calendar right now, so I am grateful for the opportunity to reflect in these posts each week. Without them and my homily notes, I don’t know if I would have remembered anything about church, and this week was actually kind of beautiful! This is actually most of what I wore on Good Friday. 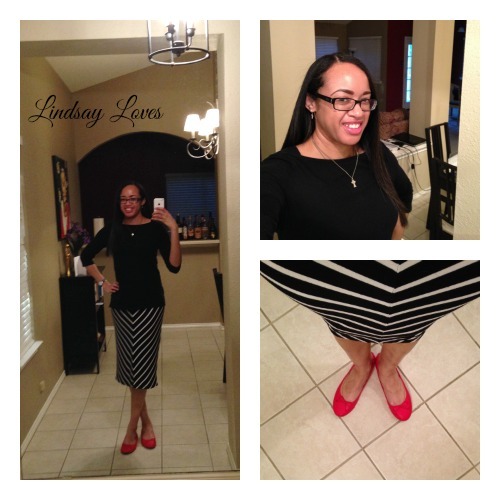 I wanted to wear some red and white to correspond with the image of the Divine Mercy. We keep switching to winter about one day a week, so I haven’t unpacked my summer whites yet. I was satisfied with this. Fr. AP gave an excellent homily, actually. I was a little sad that the new lector seating (which we’ve figured out after the confusing transition) is out of his line of sight, so I couldn’t be obviously appreciative. I make very expressive faces. That is sometimes a good thing. He began by pointing out that the reason Thomas misses Jesus’ first appearance to the apostles is that he was somewhere else. He was by himself, away from the community. Communal life is so critical to Christianity that we miss out severely when we isolate ourselves. In the first reading, people flock toward the apostles and join them. It takes a while, actually, before they start sending missionaries to evangelize other cities. They’re all about togetherness. He further noted that, although Thomas says he won’t believe unless he touches Jesus’ wounds, but he never actually does it! I’ve never noticed that before. I was confused by basically every artist’s depiction of this scene with Thomas’s hand all up in Jesus’ side. (Also: gross.) It made me think about the way the Faith was transmitted then, and still is today: mostly by hearing. We know about Jesus because someone told us about him, and so we trust, and we come to believe. Finally, Fr. AP hit it out of the park by telling a story that was not a joke and was, in fact, adorable. He backed into it with a long description of a skeptic walking down a street somewhere (he named a city, I just don’t remember it) and pausing before a painting of the Crucifixion in a store window. Before long, a poor little boy walks up to join him gazing there. The boy begins to tell the man what he’s looking at. “He was a real man, sir. A man who taught and preached and healed. He was punished for what he did, sir. That’s his mother there, sir, looking at what they’ve done to him. They killed him, sir, and they laid him in the tomb.” At that point, the man begins to walk away. The little boy chases him down. “I forgot to tell you, sir! That man, sir, he rose from the dead!” It was a sweet reminder not to forget the end of the story. Happy Easter, dear readers. I wasn’t able to enter into Lent with quite the depth that I managed last Advent, so I think that tempered my experience of the fullness of Easter joy. I also failed to take photos of my Holy Thursday and Good Friday outfits. I was too exhausted getting in after midnight on Thursday, so I didn’t even try on Friday. I love this dress. I got it on impulse when I was Christmas Eve shopping with my mom and brother; it was just too pretty to leave on the hanger. My instinct was to save it for a special occasion, but considering my lack of luck (and I don’t even believe in luck), it would either have been too big or too small before I got a chance to wear it. The earrings are also new. They were technically a gift from my brother, and the dress a gift from my mom, but I picked them both out myself, so I know where they’re from. I never get new clothes for Christmas or Easter. I spend Easter alone, and my family doesn’t celebrate Christmas or Easter at church, so I usually just treat them like any other Sunday in terms of wardrobe. I wish I had family photos to dress up for, but that is not my life right now. This year, though, I decided to go big. I might not have a family photo, but that doesn’t mean I can’t look fabulous on my own. I love the color, the way it fits me, and the incredible pattern. It’s also kind of fuzzy and velvety, and although you can’t tell from the photos, the back has the same pattern. I thought about going mild on the earrings and just wearing my pearls. Then I decided to make them part of the “big” I was going for. One of the benefits of going solo to the Easter Vigil is that I can just grab any available seat after the Easter fire is lit. Walking with a lit candle is hard enough; not having to keep track of anyone I’ve gone to church with is helpful. I wound up right under an A/C vent, though, so my candle wax started running in every direction during the Exsultet. I managed to split my attention between listening and trying not to get burned. And I didn’t get burned, for maybe the first year ever! The long Liturgy of the Word was fine. I detest the gender-neutral, multiple-voices altered version of the Creation reading from Genesis. I’m more offended by that than I am by male pronouns. The responsorial psalm after the reading was Exodus was sung with the cantors accompanied only by tambourine. I am not usually a fan of tambourines in church, but for that one psalm a year, it’s actually good. Really good. It turns out you can actually play a tambourine like it’s a real instrument instead of just shaking it. Who knew? The reading from Ezekiel hit just the right part of my heart, and I remembered to look down before the lights came on, so I was fine for the New Testament readings. Fr. Pastor’s homily was, as expected, pretty long for the Easter Vigil. So much time passed between then and the end of Mass that the only point I remember is one from the beginning of the homily. When we imagine the women returning to Jesus’ tomb on “the first day of the week,” we tend to imagine a sleepy, quiet Sunday morning. But Jewish weeks begin on Sunday the way ours do on Monday. It was more like they were running a quick anointing errand on Monday morning before getting on with the workday. To find the tomb empty was that much more of a shock. It would be less like driving through lazy Sunday morning traffic and more like showing up to work on a regular Monday to find your office completely empty. That was kind of a cool image. This year’s baptisms were rather less quirky than last year’s. Fr. Pastor still insisted on getting the catechumens to reject Satan at the door and then step forward to accept Jesus. I don’t like it when people try to add things to the liturgy, especially when brand-new Catholics are involved. They’re dealing with enough stress; don’t make it worse. He asked each of them for an audible response, into the microphone, as to why they wanted to be baptized. One of the little girls confidently said, “Because I love God!” Then I cried. We had an unusually large number of young children and adult men. We also had zero adults for Confirmation, which I have never experienced before. It was mildly amusing to hear Fr. Pastor describe the cute little girls (ten-year-olds, maybe?) as “young women.” He also chose to confirm the newly baptized immediately, then move on to the other Confirmations. The choir interjected “Veni, Sancte Spiritus” awkwardly, as though it wouldn’t count unless they sang that song. Because of the strange rhythm of all the baptisms, some of the confirmations, then the rest of the confirmations, we did not actually relight our candles at any point, although we did renew our baptismal promises. I kind of like the relighting. The Liturgy of the Eucharist was fine. Once we finish all the special parts, Mass very quickly switches to being more typical. It’s comforting. I was pleasantly surprised that it was only 10:30 when we departed. After years and years, I’ve come to think of two-and-a-half-hour vigils as “short.” I went straight home, ate a chocolate-chip muffin, and called it a night. How was your Easter? I am handling cute kid photos well this year (which is not true every year), so point me toward your little bunnies! This week, we are officially back in action at Fine Linen and Purple and have a brand-new logo to boot! I always meant to replace that other one, or at least substitute a Lindsay Loves–specific one, but anything was better than nothing. I’m really glad that Holly was able to reclaim the domain. I planned this outfit carefully, including de-pilling the lace insets in the skirt. Always check for dry-clean only labels when you purchase, friends. I tried to get a good photo, but it just wasn’t turning out well, and I was too hungry after Mass to fuss over it for very long. So this is as good as it gets. I knew that I would be narrating the Passion gospel. In previous years, I was basically forced to wear a too-large surplice with no cassock (I know!). The parish did not have cassocks for altar servers until recently, so I don’t even know where those surplices came from. I was determined not to let that liturgical fashion “don’t” happen this year, so I knew I needed an outfit that looked “nice.” “It would be nice” is the worst reason to do anything church-related, but I wasn’t about to let someone say I had to wear a surplice because I didn’t dress for the occasion. I did not intend to be late for the pre-Mass lector rehearsal, but it’s hard for me to get to church an hour and a half earlier than usual. To my delight, the previous inappropriate uniform was replaced with a basic alb and cincture. I was totally on board with that. An alb is essentially a giant baptismal robe, so it’s appropriate to be worn by anyone who is baptized. I even learned how to tie the cincture, like a Boy Scout! I will admit that it was way stuffier inside that than it was in the giant surplice in years past, but I was so happy that I hadn’t had to fight for the wardrobe change that I was willing to suffer quietly. I offered it up for the souls in purgatory and for my sanctification. All was well. We did the short version of Luke’s Passion. I was a little sad about that, as I always am by the shorter option of anything liturgical, but I went with it. It was better for my voice; I have nearly lost it by pushing too hard in other lectoring situations. Aside from some page-shuffling noises by the parts of the congregation who were reading along, it went fine. 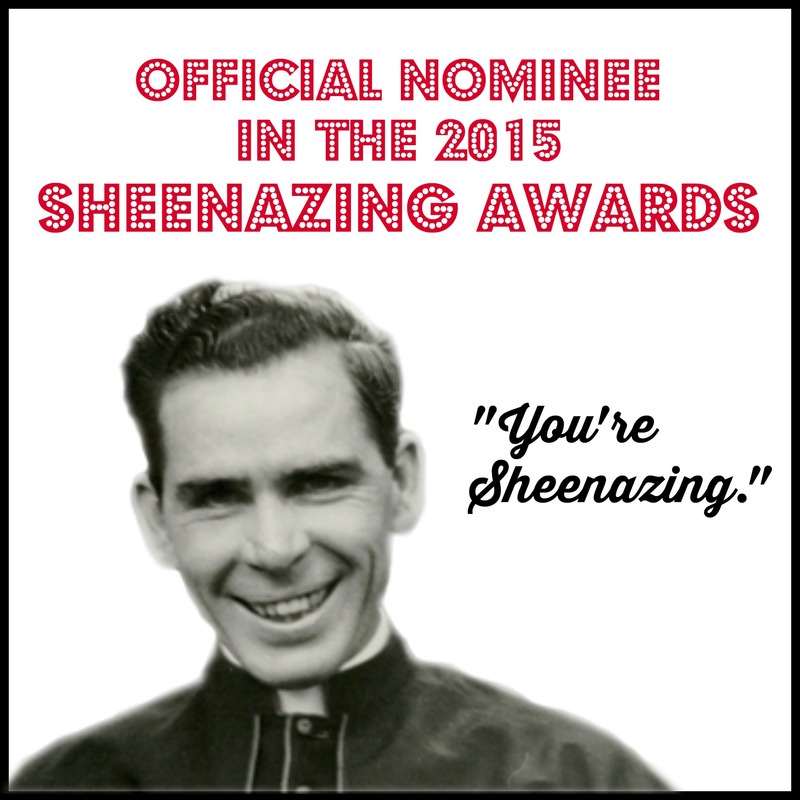 No weird violin interludes (also a feature of years past), no overacting by any of the other lectors or Fr. AP reading for Jesus, no sudden disappearance of my text right as I reached the ambo (like last year). I have narrated the Passion gospel at that Mass for three years now, and this was the best one by far. Thanks, Holy Spirit! Fr. AP kept his homily extremely short. He always gives short, punchy homilies, and I was still in my head and tired from the Passion, so I think I only started paying attention about halfway through. What stuck out to me was his note that, for the average person, death seems like a defeat. For the Christian, death, especially the death of Jesus, is a victory. It made me think of the custom of assigning saints’ feasts to the days they died. Grammar Girl thought that seemed grim, but if you have a Christian understanding of life after death, that makes perfect sense because their days of death are their days of birth into heaven. My week started out rough, and the Triduum is always a challenge, but it is a blessing that I get to observe it with this level of intensity. May your Holy Week and Easter be equally blessed.